Oh Hey There! : Favourite Cat Videos pt. 1. Favourite Cat Videos pt. 1. Cats. are. my. favourite. Yes, I am that person who will sit and watch those 5 hour youtube compilations of cat videos from start to finish and honestly love every minute. I frequently cry at cat videos, sometimes in public... to the embarrassment of everyone I know. I though I would share some of this love with you, so I present some of my favourite cat videos. Believe me, I have about 1000 more I would love to show you but I will keep it short and save them for my next 100 instalments. Most of these are classics, so you may well have heard about them before but hopefully will enjoy them nonetheless! 1. Okay! A short but sweet one to start with, sideways cat. I think all cat owners know the strange eccentricities of cats oh so well but my cat has, sadly, never quite managed this level. 2. I won't lie. This video made me cry. Twice. 3. As you will no doubt find unsurprising, I have been compared to this lady and this video multiple times by friends and family and you know what? There is nothing wrong with loving cats this much, the internet has proved this time and time again. Both the original and the songify version are hilarious, I personally love the signify version above. 4. Sad Cat Diary is just one of my all time favourite things. If you do not find this amusing, get in the sea and find a sense of humour or a love of cats whilst you are there. 5. 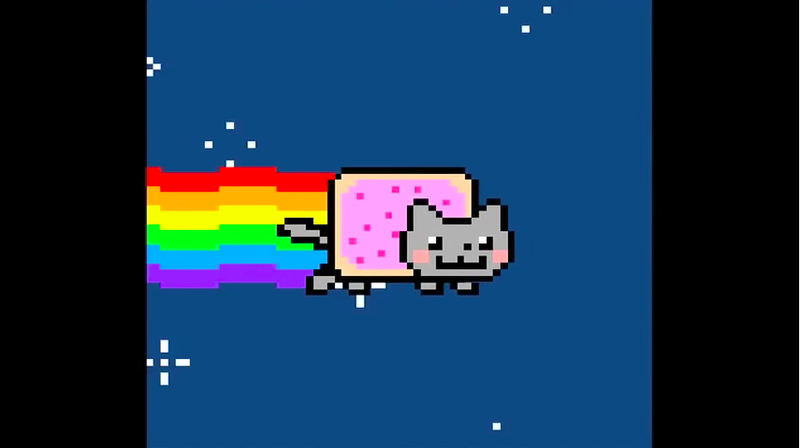 And to round up nicely, how about the classic that is Nyan Cat? To anyone that hasn't seen or knows of Nyan cat, I have one question. Do you reside under a rock? P.s I take no responsibility for the madness that may ensue, when you cannot get this earworm to leave your brain. Do you have any favourite cat videos? Best Vegan Food in Brighton!